Ana Yris Guzmán is the co-founder of Nuestra Escuela, a flourishing alternative high school in Caguas, Puerto Rico. Ever since Hurricane Maria hit, Ana is also a disaster relief coordinator. The hurricane uprooted many of her students and staff. “They lost many things, including family, houses, the basic necessities,” Ana told me earlier this year. So, Ana is doing what needs to be done for hurricane survivors in addition to her everyday duties. Nuestra Escuela’s hurricane relief projects include a free food program, post-traumatic stress relief curriculum, and a creative cleanup project. The cleanup project is led by a team of Nuestra Escuela students who are transforming hurricane-uprooted trees into school furniture. “With the support of many people, we can recover,” Ana said. Notice something different about GlobalGiving? This is a week of big changes! We’ve launched a new look and feel on GlobalGiving.org that will make it easier and faster for donors to find and give to your organization. The improvements made to globalgiving.org will allow the site to load much more quickly and will look great on tablets and phones. The new homepage, header and footer are just the beginning of the visual changes you’ll see over the next several months. Stay tuned for more, and please let us know what you think along the way! Even more exciting for our nonprofit community is the launch of our new GG Rewards Program. GG Rewards is the product of a culmination of feedback we’ve collected from our nonprofit community—folks like you—over the past three years about how you’d like GlobalGiving to better work with and reward your organization. GlobalGiving help as you raise more funds for your work, and help to have a greater impact with those funds. Our Partner Rewards program, launched in 2011, ranked organizations as Partner, Leader, and Superstar. The higher an organization rises through these rankings, the more visibility it receives from donors through corporate recommendations and social media attention. In 2014, we experimented with the Effectiveness Dashboard as a first step in being able to track and reward your organization for not just fundraising on GlobalGiving, but also your efforts to learn and improve. You’ve given us invaluable feedback over the last year on this initial experiment with tracking effectiveness, and that feedback has been used to shape our new program which launched today, called GG Rewards. This week, we’re proud to announce GG Rewards—a combination of Partner Rewards and the Effectiveness Dashboard—that provides a more streamlined, helpful, and easy way for you to track your organization’s performance and to continue to grow both your fundraising and your organizational effectiveness. If you liked the old Partner Rewards system and you’re not interested in exploring any of the effectiveness tools we provide, that’s not a problem. You can choose to focus on fundraising and earn points exclusively for fundraising-related activities on GlobalGiving. But, if you’re like many of the organizations that we’ve heard from in the past three years and you want GlobalGiving to provide more flexibility in how you can grow from Partner to Leader to Superstar, the new GG Rewards program provides just that flexibility. Since 2011, GlobalGiving has been rewarding organizations for engagement with the GlobalGiving platform – fundraising, reporting, and attracting new donors, among other activities. Those activities are still being tracked under the “Engagement” section of GG Rewards, but now we’ve added a way for you to get credit for your organization’s commitment to learning and improving as well. Here at GlobalGiving we believe that in order for a nonprofit (including GlobalGiving itself!) to improve, it needs to listen to the people it serves, act on what it hears by testing new ideas, and learn faster and more efficiently. We call this the Cycle of Progress: Listen, Act, Learn. Repeat. The “Effectiveness” section allows your organization to earn points by demonstrating a commitment to learning and improving the work you do on the ground. You can receive points for using different tools available online and completing the Listen, Act, and Learn components for each tool. If you listen, act, or learn from your community outside of GlobalGiving, you can add a tool using the “Create-Your-Own cycle” to receive credit. We’ve provided a few options to get you started on your learning journey – options like the Feedback Labs Toolkit to help you listen to feedback from your community and the DIY Toolkit to help spur innovation in your programming. We recognize you may already be using some amazing tools that help your organization learn. You can easily register those in the Create-Your-Own cycle to get points toward your Superstar status. No one knows your organization better than you do, so we want to empower you to identify the priority areas for your organization, and we want to reward you for doing the things that help you improve the most – whether your priority area is fundraising, listening to your community, strengthening your monitoring and evaluation activities, or anything else that you’ve identified as an area for growth. Don’t know where to start? Our staff is happy to set up a one-on-one consultation to help identify what tools could be the most useful to help your unique organization improve. You can now take a look at your organization’s GG Rewards Status by logging in to GlobalGiving. We are also sending out personalized emails to every organization about their GG Rewards Status, how it may change, and what benefits you can expect, so check your inbox! Still have questions? Start by checking out the GG Rewards FAQ page. We also put together a video tutorial to help you learn how to navigate your new GG Rewards dashboard. As always, we’d love for you to contact a member of our Program Team at projecthelp@globalgiving.org for general questions, and also take advantage of our one-on-one consultations by signing up here for a more in-depth conversation about your GG Rewards status. We will also be holding a webinar on Wednesday, August 5 at 9am EDT (sign up here) and 3pm EDT (sign up here). We can only improve if you tell us what you want! Your feedback is vital to us at all stages of this process, so please don’t hesitate to share your thoughts. They’ll help us improve! Let us know what you think here. We’ll to continue to listen, act, learn, and repeat with this new tool so we can continue to get closer to driving more dollars to more effective organizations every day. Organizations around the world are trying to address incredibly complex social challenges. Here at GlobalGiving, we believe that good feedback loops are a crucial part of addressing these issues effectively: listen, act, learn, repeat. Feedback, or information about constituents’ perceptions of a set of activities and their impact, allows organizations to gain a better sense of communities’ realities. When organizations are better able to hear the communities that they work with, they can better understand how to make their projects align with community needs, and ultimately they can improve quality of life. A closed feedback loop is made up of 5 steps, plus an important preparatory step. GlobalGiving already uses its Effectiveness Dashboard to reward organizations that are gathering feedback from the individuals who they serve. Now, we would like to offer funding, too! What is the 2015 Feedback Fund? GlobalGiving’s 2015 Feedback Fund offers technical support and up to $2,000 in funding to organizations working to improve their feedback practice. The goal of the fund is to help you learn from your constituents and act on what you learn. Organizations selected for this opportunity will choose one or more tools from the Feedback Labs Toolkit, and use these tools to improve their feedback practice. The Toolkit has over 90 tools that your organization can use to help facilitate any part of the feedback loop, from design to course correction. Organizations can choose from any of these tools, using them to improve their feedback loops with constituents. Having trouble deciding which tool to use? Here are some examples to get you started. A maximum of $2,000 in funding may be used to cover costs related to improving some part of the organization’s feedback loop. Examples of covered costs include printing surveys, paying for a subscription to one of the Toolkit tools, hiring a temporary intern to carry out the project, providing incentives to volunteers who collect feedback, covering travel-related costs, or financing translation services. Funding may not be used to pay existing staff, and organizations must include a draft budget for the support sought. In addition to funding, recipients selected for this opportunity also receive support from GlobalGiving’s feedback experts, including: a pre-project call with a GlobalGiving feedback expert to offer advice on your project; participation in a collaborative brainstorm to solve problems related to your data; ongoing support from GlobalGiving feedback experts while the project is being conducted; and one round of analysis of the feedback involved in your project. If no tools in the Toolkit seem to be a good fit for the feedback project that you have in mind, organizations may also apply to self-design. Please contact projecthelp@globalgiving.org for more information. In order to be eligible for selection, organizations must fill out this application form and take the Feedback Labs quiz. When taking the quiz, it is important that you enter the email that you use to log-in to GlobalGiving, so that we can appropriately match your application with your organization (and give you Effectiveness points on the GlobalGiving Dashboard for completing the quiz!). Both of these components of the application should be completed by August 7, 2015. To provide you with more details about the Feedback Fund and to answer any questions that you may have, GlobalGiving will be hosting a webinar on Friday, July 17th at 9AM ET and 3PM ET. Sign up for the 9AM ET webinar here. Sign up for the 3PM ET webinar here. Only GlobalGiving Partners, Leaders, and Superstars with active projects on GlobalGiving.org are eligible to apply. Organizations may apply for a maximum of $2,000 in funds to be used to cover costs specific to improving some part of their feedback loop. Funding may not be used to pay existing staff. Taking the Feedback Labs quiz. Selected organizations will receive half of their funding up front. The other half will be sent when they have completed their project and written a 300-600 word blog post about the results of the feedback experiment. Projects must be completed by November 28, 2015 or GlobalGiving reserves the rights to revoke the funds. Participation in a collaborative brainstorm to solve problems related to your data. One round of analysis of the feedback involved in your project. The deadline to apply is August 7, 2015. The Feedback Fund is made possible by a generous grant from the Fund for Shared Insight, a collaborative effort among funders that pools financial and other resources to make grants to improve philanthropy. Shared Insight provides grants to nonprofit organizations to encourage and incorporate feedback from the people we seek to help; understand the connection between feedback and better results; foster more openness between and among foundations and grantees; and share what we learn. We are happy to announce an exciting opportunity for GlobalGiving organizations! If your organization is on the front lines fighting Ebola then we can help. The Ebola Care project is an initiative by Journey and GlobalGiving to provide aid organizations with the tools they need to make data collection easy and simple. The following post was written by Philip Joubert from Journey. Soon after starting the Ebola Care project, we connected with Sam Herring, the data manager at a nonprofit combating Ebola in Liberia called More Than Me. He said that his “biggest priority is getting data from the field faster,” and asked us to help. Like Sam’s team, your staff is likely using paper forms to collect data. Unfortunately, working with paper forms can be very frustrating – it’s a time-consuming process to enter data into a computer and by the time you get access to the data it’s already old. Sam worked with us to develop the Ebola Care app, which runs on Android phones and completely replaces paper forms. Results from the two pilots run in Liberia have been extremely positive, and we are now in the process of deploying more than 1,000 phones to aid organizations in West Africa. The Ebola Care app consists of five modules: contact tracing, ambulance pickups, case files for orphans, quarantine monitoring, and tracking outreach events. Aid workers use the app to collect data, which is immediately available online to decision makers. The data is accessed on Google Spreadsheets, and can be imported into different reporting tools like Excel. Ebola Care has an API which allows you to integrate with almost any reporting tool. We also hope to supply SIM cards and airtime for the phones, however the details are still being finalized. GlobalGiving partners can complete this form to secure your place in the Ebola Care project. Will my organization need training? The app has been designed to be extremely simple to use, and it guides users through the entire processes. Your organization will also receive training materials. When will I receive the phones? The phones will be delivered starting early December. One of my forms is not listed as a module. Can I still use the app? Yes! You can request a module and we’ll add it. All you need to do is send us an example of the paper form and tell us a bit about your process. It will only take a few days for the new module to become available in the app. How do I apply for the phones and app support? Fill out this form and let us know what you need! GlobalGiving is excited to host the Second Japan Matching Campaign running March 1st – 15th! Starting at 12:01 am EDT on March 1st (14:01 pm JST on March 1st) GlobalGiving will match online donations at 100% made to projects that are related to earthquake and tsunami recovery activities in Tohoku, Japan. In the memory of 2nd anniversary of Tohoku earthquake and tsunami, GlobalGiving will match online donations at 200% on March 10th, 2013 from 11:00:01 PM EDT (March 11th, 00:00:01 PM JST) to March 11th, 2013 23:59:59 PM EDT (March 12th, 12:59:59 PM JST). Qualifying organizations will receive an email from GlobalGiving with more information about participating. If you are working in the Tohoku region and have not received an invitation to participate, contact Mari Seto at mseto@globalgiving.org . What are the terms for the Matching Campaign? 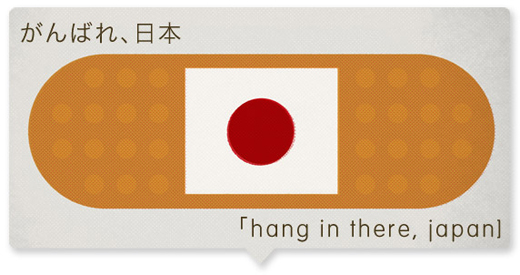 The Japan Matching Campaign will run from March 1, 2013 00:00:01 AM EDT to March 15, 2013 23:59:59 PM EST / (12:59pm JST on March 16). There is $100,000 available in matching funds. Once funds have been depleted, no more donations will be matched. Only organizations that are working on relief or recovery efforts in the Tohoku region of Japan are eligible for these matching funds. GlobalGiving reserves the right to approve all projects included in the campaign ahead of time. Matching is applied at 100% up to $1,000 per donor per project between March 1, 2013 00:00:01 AM EDT to March 15, 2013 23:59:59 PM EST / (12:59pm JST on March 16) or until matching funds run out. GlobalGiving will match up to $25,000 per project. The project that raises the most funds during the campaign will receive an additional $1,000 bonus grant from GlobalGiving. The project that has the most unique donors during the campaign will receive an additional $1,000 bonus grant from GlobalGiving. Projects must be approved and live on the GlobalGiving.org website by February 26th, 2013 to be eligible. Projects that are located in Japan, but not working on Tohoku-related issues, are not eligible for this matching campaign. Online donations will be accepted through March 15, 2013 23:59:59 PM EST (GMT-4) Checks received by March 10, 2013 will be included in the matching and will count towards the number of unique donors for each project. Checks received after March 10, 2013 will be applied to the indicated project, but will not count towards the matching. Checks should be made payable to the GlobalGiving Foundation and should clearly indicate the project to which the funds should be applied. Unfortunately, we are not able to accept cash donations. Only donations made at www.globalgiving.org are eligible for this match. Donations made on www.globalgiving.co.uk or any GlobalGiving corporate sites (including Nike, Eli Lilly, Global Action Atlas, etc) are NOT eligible for matching. Unique donors are determined using numerous criteria, including name, email address, credit card number, mailing address, and IP address. We are monitoring these and other parameters in our system to ensure that only unique, distinct donors are counted towards the donor bonus award. The 200% Match Day will run on March 10th, 2013 from 11:00:01 PM EDT (March 11th, 00:00:01 PM JST) to March 11th, 2013 23:59:59 PM EDT (March 12th, 12:59:59 PM JST). Only projects that enrolled in Japan Matching can participate. Only online donations (credit card or PayPal) are eligible for matching. Donations made by check or text-to-give are not eligible. Donations made on www.globalgiving.co.uk or any GlobalGiving corporate sites (including Nike, Eli Lilly, Global Action Atlas, etc) are NOT eligible for matching.